Learn all about military student loan forgiveness and 10 best repayment assistance programs here. Also, discover the options of deferment and forbearance options for military and veterans. While there are multiple programmes available for military service men and women's to pay for their college loans, where there is only a little bit of information is being known on the financial help after the completion of college. Especially when it comes to the student loans it totally changes but there are plenty of programs available for the active duty members and veterans who can make use of this opportunity to get over their student loan by Paying off. Military service is qualified for the Public Service Loan Forgiveness as similar to other professionals such as Firefighters and nurses. There are specialized programs exclusively available to only particular service people. There are other options for your veterans too. Even though your debts are not forgiven it has other plenty of options where it will help you to get out of the debt with available options. How Public Service Loan Forgiveness (PSLF) work for the military? What jobs does qualify for PSLF? How much money can CLRP Provide? Can CLRP work for all sections? Public Service Loan Forgiveness is the process in which your existing remaining loan amount will be forgiven after you successfully make 120 qualifying payments on a program. This can also be in the consolidation program also where consolidate of all your Direct federal student loan into a single one using this program. With the help of Income-driven repayment plans where after you make 10 years of payment without any delay or fail then the debts remaining will be erased from the books without any damage to your credit. To qualify for the PSLF you should be in a Public service organization which includes government works also if you are employed by the federal government and state governments or the local non-profit organizations. The jobs like Police, Firefighters, park rangers and other civil servants are government employees as many ex-military people move into these fields and there is a chance that you might be qualified for the PSLF even after leaving the military. Eligibility for the PSLF is done when you make 120 qualifying payments under the Income-Based Student Loan Repayment plans. The Pay As You Earn(PAYE) it's on the Income-based Repayment Plan (IBR) or Income-Contingent Repayment Plan (ICR). Doing some research to get a hold of the program that you need and think which will be a suitable benefit for you as federal student loan is totally paid back after the time of10 years. Public Service Loan Forgiveness (PSLF) is only applicable to the current employed from the public service for a period of a total of 10 years. if you have left then you cant be eligible for the loan. The DoD will be accepting to repay your loans which are under the Federal Student Loan Repayment Program. Some of your loans will be repaid in order to provide the best service for the people who have done their jobs. The DoD program will pay you up to $10,000 for the loans in the year can expand up to $60,000 in total, not more than as a return the holder will stay in service for 3 years. 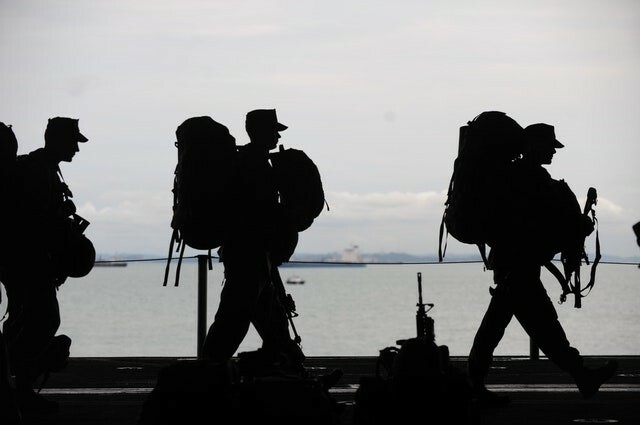 There are certain options available in the veterans to qualify for a total student loan forgiven without doing any consolidation or payment plan only in the case of veterans has the service-connected disability. This program has been designed to give you relief for people who count continue their active duty due to the disability. It was designed to help people who give their lives on the front of the country. To be qualifying this you should have served at least for 1 year in the Imminent danger deemed area holding a Perkins or Direct student loan. If you see that you can qualify for this National Defense Student Loan Discharge then send a copy of Discharge form and a letter stating why you think you are qualified for this program. The rate of success is not known its positively worth running for it if you have the requirements. Loan Forgiveness is not always the only way to find relief that you seek from your student debt repayment. if you are still an active duty member then there are plenty of programs designed to help you out for the people who cannot continue their active duty due to their disability. Under this program, the interest rate is capped and can be applied for all the federal and private loans at 6% so the loan doesn't go increasing and immediately following their active-duty service. This can really help borrowers with higher interest rate loans which are usual in private student loan where their interest rate is said to be higher than Federal student loan. It was passed by President Bush back in 2003 and it was an addition to the Soldiers and Sailors Civil Relief Act (SSCRA) in 1940. These laws helped them to get clarity of the benefits that they get for loan forgiveness. 6% of Cap will be on the interest rate for debt responsibilities which are enrolled before getting in the military. A $20,000 10-year loan at an 8.5% interest will have a monthly payment of $247 when it has been deducted to 6% their monthly payment will be around $222. which leaves them with an overall saving of $3,112 for a period of 10 years. How to use the SCRA benefits? If your student loan debt is charged at an interest rate of 6% then it was created before the service then you can have a reduction on it. Interest deferments on the SCRA interest rate are forgiven debts where it is being charged over 6%. To get this you need to get in contact with the loan servicer in writing stating the copy of your order as an official request to get a lower interest rate. You will be receiving a reduced rate of interest for a period till you continue your service. While you are in the active-duty service in any hostile area then interest on Direct federal loan is completely eliminated for a period of 60 months. Where you are required to serve in a hostile region which qualifies for this program and special pay including certifying official statement. Where it's only applicable for Direct Federal Loan, not other loan consists of both Federal and Private Student Loans. While serving as an active duty member of the military can able to waiver the documentation that is required for attaching to federal student loan benefits. Where it allows the service men and women to get their monthly student loan payments amounts to be maintained while they are in the duty. Well, these perks and benefits are only limited to the active duty member. The U.S Department of Education Published several waivers in the federal register on December 12th of 2003. Military service of 3 years doesn't count up for deferment or forbearance. It applies for the grace period to in federal student loans. In Deferment, there are 2 options for your student loan debt. These can stop your payments for a temporarily period without any penalties. The first option is where people from active duty service who are already making paying off their student loan debts can defer their payments for a specific time where you are not required to pay on a war or national emergency and operation goes on. The second option is for the students who are still in the school attending and have a student loan. If you stop attending your school at least for part-time then your loan repayment schedule will start. This deferment will allow you to serve on active duty without worrying about the student loan payment. This offered for the military student for their loan repayment assistance for those who are active on duty. Which also has other requirements that you are required to enroll for at least 3 years with that you need to hold a score of 50 and higher on the Armed Service Vocational Aptitude Battery(ASVAB). If you are in a qualifying place of Military Occupational Speciality(MOS) then you could get support through the army reserve college loan repayment program. Well, you must be in it for a period of 6 years and have loans from before entering the active duty. This will help you to pay around 15% of your loan balance for the amount of $20,000. It is primarily focused on the federal student loan, not on the private student loan. This Program helps people from health professions such as doctors, dentists and other sector related professionals who are in active duty or in the Army Reserve. If you are qualified borrower then you are entitled to receive up to $40,000 for each year for a period of three years. The total amount of $120,000 for military loan forgiveness will go for a long way for going towards payoff the medical and dental school loans. If you are with the skill shortage area as determined in the list of U.S. military then there might be a chance of you for this award. You also need to serve as a commissioned officer as active duty or in reserve unit. This program is exclusively for the Army Reserve soldiers who have a previous military service history they can receive up to $50,000 for their student loan payments. Further, you can request more information about this program and the student loan forgiveness for the veterans through the official website of U.S. Army Website. This program is for the National Guards where they can receive around $50,000 in for the military loan forgiveness. for this to qualify you to need to be enrolled for least 6 years term of service in a specific grade. To qualify for the program get enroll for at least 6 years and Non- prior service soldiers enlist them in Modification Table of organization and equipment (MTOE) or Medical Table of distribution and allowance (TDA) unit only and should score at least of 50 on the Armed Forces Qualifying Test(AFQT). Which is Prior service soldiers can't be having more than 16 years of service for the National Guard. This program is available for everyone who has been enlisted with a past student loan debt. Where it awards you u to $10,000 as yearly payments of 33.33% of the debt or $1,500 whichever is higher. To qualify for CLRP members should be enlisted on active duty. Loans should be in a good position rather be in default and he is responsible for the accrued interest and fees. The payments of the CLRP will be directly made to the lenders and not to the members and it is considered taxable income. Air Force Judge Advocate General’s Corps Loan Repayment Program. If you join this program Air Force Judge Advocate General's (JAG) Corps you will be receiving around $65,000 in a student loan repayment assistance. The payment will be received over a period of three years once you have done your first-year service as a JAG officer. In addition, there are many judge advocates that may benefit from the Public Service Loan Forgiveness Programs (PSLF) and with the Income-Driven repayment plans (IDR) of the College Cost Reduction and Access Act of 2007. It's one of the tough times for marines after 2011 there has been no student loan debt is forgiven. It doesn't add up the offer and benefit. As they have a lower rate of enrollment by college graduates. After the struggling and fighting in the Iraq ended need for marine has been dried up. Unless there is another break out as war soon there won't be any offer as we are at peace. Another part of things where the coastal guard who has been receiving a good percentage of enrollment from reputed college graduates who are been offered around $30,000 in loan forgiveness for new persons. As similar to the Army, Navy and Air Force loan forgiveness the benefits are provided after serving in for a period of one year where the limitation of obligation is set to $10,000 each year. There are tons of military student loan forgiveness benefits generally available for all sections through the Forever GI Bill and for the former group through the Post 9/11 GI Bill or Montgomery GI Bill. Even though the CLRP seems like a great federal student loan forgiveness program for the military. It's also good if you don't get qualified for the CLRP. You can make sure that you will be qualified for the best loan forgiveness program which is for everyone which is called a Public Service Loan Forgiveness Program (PSLF). This will help you in getting through the process of CLRP and PSLF and all the other military-specific forgiveness. It's available to the people who have already acquired the student loan debt and willing to join the military for active duty or if you have served in the active duty and now willing to joining the reserve. If you are not qualified for the CLRP don't lose the hope because you can still get in the PSLF a better version of forgiveness programmes. CLRP is available for all most every section from Military which consists of Army, Navy, Airforce, National Guard, Coastal Guard, and reserve as well. Be enrolled in a Military for the first time or get in the reserve once if you have completed an active duty enlistment. Be enrolled in a MOS which is considered for the eligibility in CLRP. Get a High school diploma which has a GEDs equal test do not get in for the participation. Demand CLRP participation in writing the enlistment contract. Hold a student loan that can meet the guidelines of CLRP. It's a program which is not for everyone as it holds requires of a new service member or joining in the reserve if you have completed the service. If you are already enrolled in the planning to be there then you won't be able to use the benefits provided by the CLRP. The loans should be a lender from an agency or instrumentality of a state. Further, the credit institution from an Insurance company to examine and supervision of the agency of the state. Through the pension fund or non-profit private entity. It differs from one to another depending on the section of the military that you are in a maximum of $65,000 can be forgiven under the life of your loan is capped. The money that comes from CLRP is also planned by the duty status along the active duty members eligible to get double than that personnel who join the reserve. Active Duty is authorized to get up to 33.33% or $1,500 which is greater to their loans outstanding principal balance for every year till they complete it. 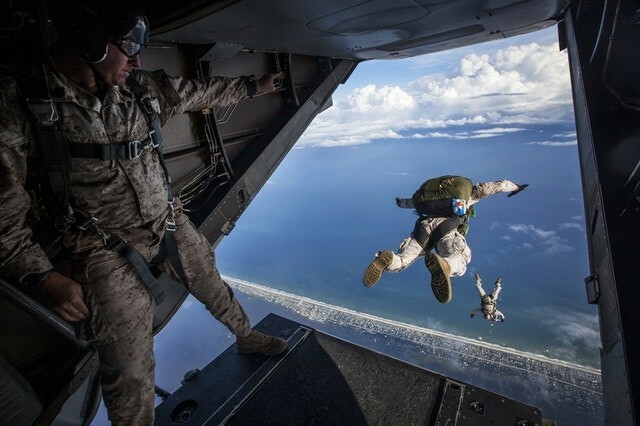 Enlisted members from the Reserve are authorized to get up to 15% or $1,500 whichever is higher to their loans outstanding principal balance for every year till they complete it. Well, CLRP benefits are available for all sections of the military where the requirement of each is different and has to disburse benefits for different sections accordingly. The main point to be considered here is that certain benefits for particular sections and nothing for other section in the case of marines. So go through each program for the section that has been allotted above to get a clear idea. The payments are given based on the outstanding principal balance of your loan where you will be getting an interest rate which is not in the case of military student loan forgiveness program benefits. The interest that has been accrued on the student loan will be there as your responsibility. Where the debt will be expensive with the compound interest where it gets high in the long term. You can still get a benefit of $65,000 in total by accessing the military loan forgiveness benefit. It's not a big problem and no one should leave these benefits without using it. In the military loan forgiveness, the amount that you receive is being taken into account for the annual taxable income. where it must be reported to the IRS and leaves you with a tax on the amount you receive. If you are receiving above or around $10,000 every year then plan ahead of time to deal with the tax liability from the military student loan forgiveness programs. In the CLRP it is designed to not give you any cash or checks which the loan repayment is being made directly to the federal government or your lender. The government will hold back your 28% of its payments to be given to the IRS, treating your tax liability. 1. Can veterans get student loans forgiven? People who have suffered from a service-related disability can able to have their loans forgiven where it mainly for a federal student loan on some cases it may be qualified for the private loans too. To get it you need disability rating and get disability pay from VA.
2. Will my student loans be forgiven if I join the military? Providing service for the country is qualified as the popular forgiveness program. Where the program forgives all the student loan debts after making a qualifying 120 payments in the full-time work with the military. 3. How much college does the military pay for? The Montgomery GI bill will help you in getting paid for your college education based on the duration of your enlist with their army and the job which you have been doing where you might get up to $50,000 for helping you pay for the college. 4. Will Air Force Pay off student loans? The Air Force will pay around $10,000 for your student loan. It's based on the yearly limit. where they do the payment directly to the loan servicer which is subject to taxes in the year. Its subject to federal and state income taxes as taxable income in the year as its disbursed. 5. How long do you have to serve in the military to get free college? It typically takes around 3 years to get the GI bill. You should be in the military for a period of 6 years to have the military to pay back the federal student loans. Every year you will be receiving around $4,500 as tuition assistance. 6. How long do you have to be in the national guard for them to pay for college? This comes with the benefits like tuition assistance up to $18,000 for a period of 4 years. The Montgomery GI Bill and Army National Guard Kicker, National Guard Scholarship will help you to pay up to $10,000 for a year than $1,200 for book allowance and the student loan repayment programs. 7. Does VA pay for college? If you qualify for 100% of benefits then you also qualify for the yellow ribbon program where specific colleges and the VA will agree to pay for your tuition fees. 8. Does disability forgive student loans? If you are finding it hard and struggling to make your monthly repayment for your student loan due to the total and permanent disability then you may be entitled to loan forgiveness. This program will help those who are finding hard to repay their loans cause of disability. If you are qualified then the discharge of your loan will take place for your federal student loans. 9. How do I discharge my loans due to disability? If you are permanently disabled then you may be qualified for a total permanent disability(TPD) discharge of your federal student loans or TEACH grant service. If you get a TPD then you no longer required to repay your loans or required to complete your TEACH Grant Service. 10. How much of my student loans will the military pay? Army pays off the student loan under certain criteria where the student loan repayment program will help you to receive around or up to 33.33 % or $1,500 whichever is higher towards the principal amount that has been unpaid of your student loan for every year of your active duty.